We probably neglect the car batteries the most but isn’t it frustrating when you are about to leave and your vehicle refuses to start? Well, there could be a number of culprits, it might be the spark plugs, starter motor or alternator to blame. 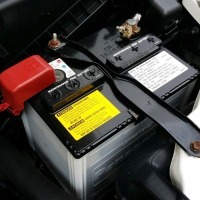 To avoid this scenario, read this car battery maintenance advice and basic tips. Regular checking of your car battery can extend its lifespan, typically it will last 3 to 4 years and routine inspection at least once or twice in a couple of months will maximize battery’s life. Check the terminals and make sure that there are no elements that can interrupt the power supply. Examine clamps, screws, and cables if there is breakage or lose its connection. Inspect the fluid level, it should be over the tops of the battery plates. Fill it in using distilled or demineralised water if necessary. A well-maintained battery will never let you experience being stuck in the middle of the road but this tips will help you more not to be stranded. Be a wise consumer, do not buy an old battery and always check the sticker on the side of the product wherein the date code printed, get the newest one to be safe. Faulty system and component will secretly drain the battery hence, try to disconnect the connector from the negative terminal of the battery when not used or not be driven in a couple of weeks. Battery Warning Light on the dashboard is clear indicator that it needs attention. If you don’t know what to do next, call us (718) 297- 9797 and let our experts guide you.